Porcelain veneers offer the ultimate cosmetic makeover. A veneer is a thin facing of porcelain that bonds to the natural tooth structure. A much more conservative alternative to crowns (caps) veneers can provide you the smile you have always dreamed of. If your teeth are chipped, broken, or discolored, dental porcelain veneers are a great way to change the color and shape of your teeth. Veneers can be a great alternative to braces for minor orthodontic problems and provide a beautiful smile in just two short visits. The results are simply gorgeous! Dr. Alfred Roseroot grew up in West Rogers Park in Chicago and earned his bachelor's degree in Psychology from Northwestern University. He graduated from Tufts University Dental School in Boston in 1976. 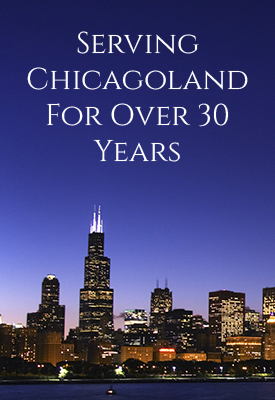 He has worked in Chicago ever since and established his own office in Des Plaines in 1986. Roseroot Dental is dedicated to maintaining the highest standard of excellence thanks to a most caring and professional dental staff. A broad range of services are provided along with patient-friendly hours. The oft-repeated comments about Roseroot Dental are that Dr. Roseroot is highly skilled, personable and treats his patients with compassion. The office has a relaxing ambience with soothing music, beautiful murals and handmade artistry throughout. As a gum specialist with decades of experience, I take great pride in having provided each of my patients with the best non-surgical, periodontal and implant dental care. In keeping with the philosophy of Roseroot Dental, my goal is to help patients achieve a healthier smile and overall wellness through pain free and gentle treatment. Dr. Grise received her DDS in 1993 from Loyola University of Chicago Dental School, Chicago, IL. Special in Periodontics: Loyola University of Chicago Dental School, Chicago, IL, 1993. She received her Bachelor of Science in 1987 from University of Wisconsin, Madison, WI. Board-Eligible: PeriodonticsAdvanced Training: Includes hundreds of continuing-education hours in all aspects of periodontics, including surgical connective tissue grafting, bone grafting, guided tissue regeneration, ridge augmentation, surgical extractions and nonsurgical treatments including scaling, root planning, and chemotherapeutic agents.